We welcome your inquiry and look forward to hearing from you. Nancy West of Exstare Federal Services was an integral part of our successful DBE certification process. Nancy's expertise and experience regarding the DBE program was extremely helpful throughout the application, site visit and interview portions of the application process. President, A. Esteban & Company, Inc. I can tell you with certainty that Nancy takes her responsibility to her clients seriously. Nancy is very insightful and clients can expect thoughtful and thorough responses to their needs. I would recommend her proven skills to anyone seeking her services. Nancy gets the job done. She knows her business and she is an invaluable resource on any project she takes on. Her skills are exceptional and she works through problems masterfully. She gives 110%. Working with Exstare has been both enjoyable and productive. They know their subject and our industry, and it shows in their work. We look forward to working with them again on other projects. Nancy is great. I was in the FAA for 32 years and the "National Airport Business Compliance Officer"... Why would I use Nancy when I have so much background with the FAA? Simple... a lot has changed about the program...and I need results.... I have worked with Nancy for over 10 years and I know her honesty and integrity. She is a hard worker...and knows the system. President and CEO, Shellis Management Services, Inc. When I need a consultant who knows the 'ins & outs' of airport concessions programs and players, whether related to ACDBE issues or not, I always go to Nancy West and Exstare Federal Services. They're the best in the industry. 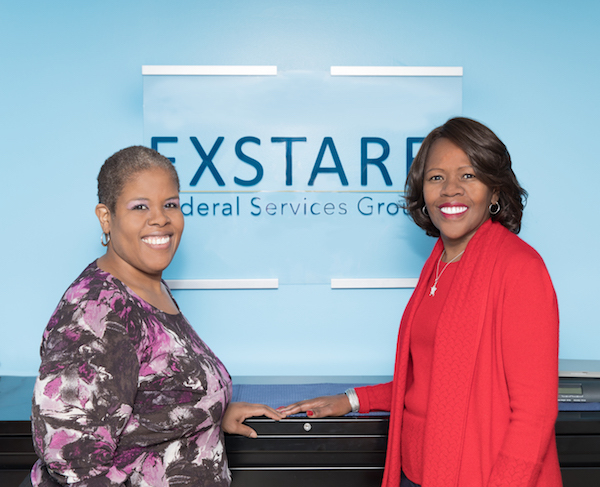 It is a pleasure working with Nancy West and Exstare Federal Services Group. Nancy demonstrates excellent attention to detail, asks the right questions, and knows how to effectively navigate through red tape when working with government entities. She is a consummate professional. I look forward to collaborating on future projects with her and Exstare Federal Services Group. Nancy West and Exstare Federal Services Group, LLC have assisted my companies with ACDBE certification issues, including complex appeals and interpretation of regulation issues, as well as overall strategic planning. I consider Nancy and her firm invaluable as my firms attempt to gain multi-state ACDBE certifications. I strongly recommend Exstare to any ACDBE firm seeking assistance with certification planning issues. I am pleased to share what an excellent job Nancy West did in assisting my Company, Concourse Concessions, Inc. with its certification issues. Exstare Federal Services is thorough and prompt in follow through. EFS has been in the industry long enough to understand the Federal Regulations and whom to contact in the industry for resolution. Exstare is my "go to" Company when I need help! I have worked with numerous consultants throughout the years, but Nancy and the Exstare team stand above them all as the example of consummate professionalism, integrity and quality. I felt I was in good hands with Nancy. She provided guidance that I needed. Without her help, I am certain that my ACDBE certification would have taken a lot longer. With the support of Exstare Federal Services my airport concession business successfully navigated through a $40M dispute, and was reinstated under a restructured agreement more beneficial than the original contract awarded. Their expertise and understanding of ACDBE guidance and compliance requirements are second only to the masterful implementation of strategy. I have enjoyed working with Nancy West of Exstare Federal Services and have recommended her to several clients and friends. Her knowledge of the ACDBE world is unrivaled. Working with Nancy not only means getting her sage advice, but also access to her tremendous contacts in the industry. Nancy’s calm, confident demeanor made me instantly realize she would be an invaluable resource, and friend. She is a wonderful champion for the minority business program, and the principles it espouses. President, Pastorelle Marketing Group, Inc. The moment we contracted with Exstare Federal Services it literally changed the management and focus of our organization. Nancy West and her team are experienced, professional and a pleasure to work with. They play an active and supportive role in the industry; they are engaged and aware of the constant changes taking place and immediately inform us as it relates to our business. At an excellent value, they have provided Departure Media with expert advice on ACDBE guidelines and have provided real insight on how to proceed as an organization. One asset that I personally appreciate is Nancy's honesty and ability to tackle any challenge that she is presented with. It has been my pleasure to work for several years now with Nancy West, Managing Member of Exstare Federal Services Group. Nancy has partnered with BBC Research & Consulting on several disparity studies examining the availability and utilization of small-, women-, and minority-owned firms and potential barriers to those firms’ success. Her knowledge of the Federal DBE Program; state and local implementations of the Federal DBE Program; small business programs; other measures to help disadvantaged businesses; and program implementation at airports is unparalleled in the industry. We have found Nancy to be extremely hard working, insightful, and always on time with her deliverables. I simply cannot recommend Nancy West and Exstare highly enough. Exstare Federal Services Group, LLC® is a full-service management consulting firm specializing in public policy and business diversity program matters. Our core services also include strategic planning, public relations, and government relations. We serve public entities and private businesses nationwide. Exstare looks forward to serving you!